Just a few more days until NEW Sale-A-Bration products are available! 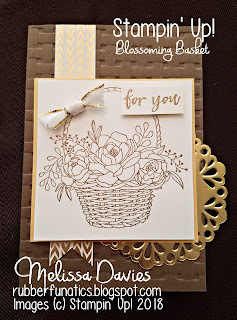 One of my new favorites is the Blossoming Basket bundle! It includes the stamp set Blossoming Basket and the coordinating Basket Weave embossing folder. The best part? It's available FREE with a qualifying purchase! Hostess Code in my online store!